At the time the HiRISE camera on NASA’s Mars Reconnaissance Orbiter captured this stunning image, Earth was 88-million miles from the Red Planet. If you looks closely, the west coast outline of South America is visible at lower right, while the exposure of this image was set for the relatively dark Moon. The HiRISE detector in two of the three color channels was saturated due to Earth being so bright, so this version of the image required significant processing. Continue reading to see what Earth and Jupiter look like from Mars. “Back on May 8th, 2003, the Mars Orbiter Camera on the Mars Global Surveyor had the rare opportunity to photograph both the Earth and Jupiter in the same region of space. 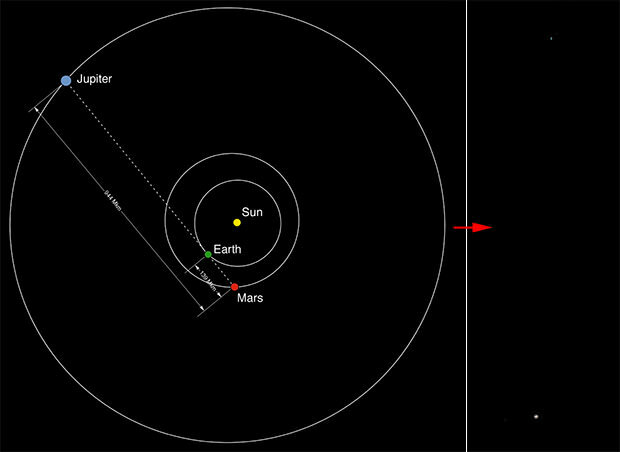 It was the first planetary conjunction observed from another planet, with the Earth 86 million miles away and Jupiter 600 million miles away. 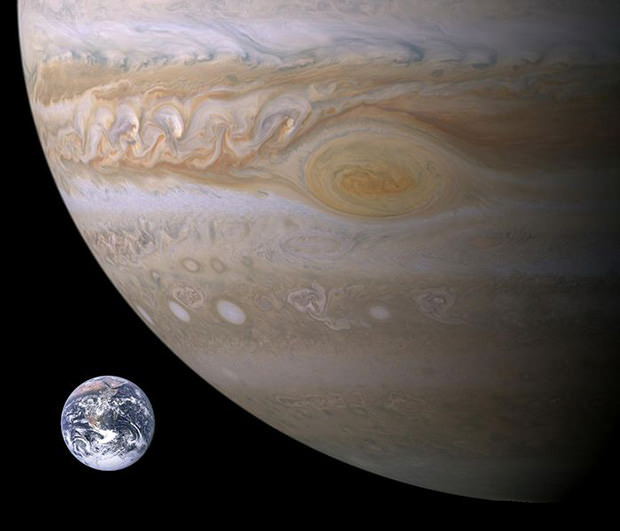 The resulting image (shown above right), contains both planets, along with some of the moons,” reports PetaPixel.